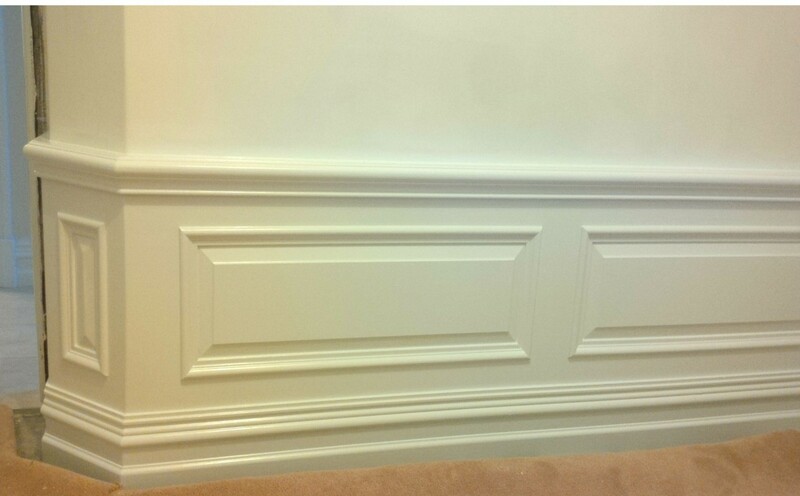 Wainscoting (decorative timber panelling) creates an elegant and graceful point of interest in any room. 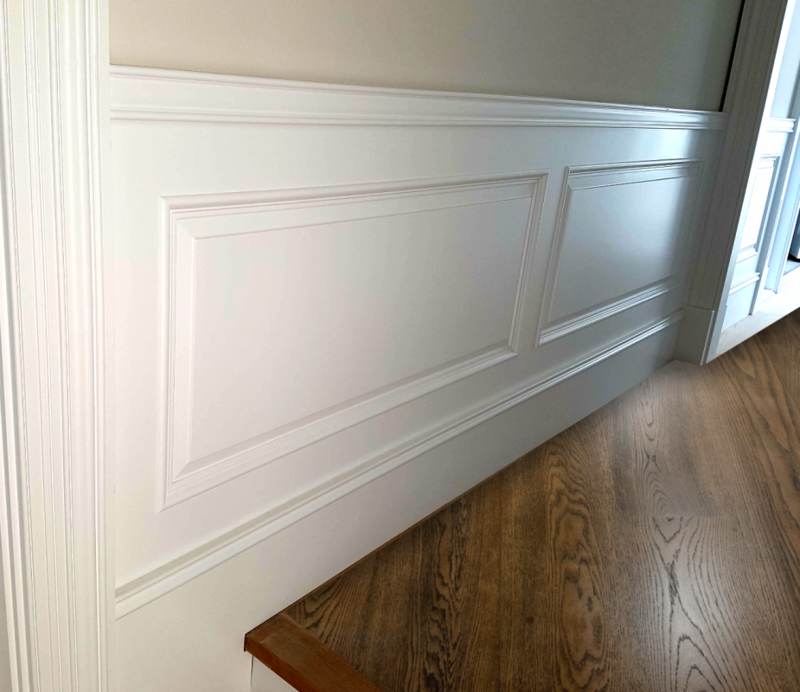 Wainscoting is ideal for luxury homes, French-inspired designs and Hamptons-style projects. Our wainscoting is available in pre-made panels for ease of installation. 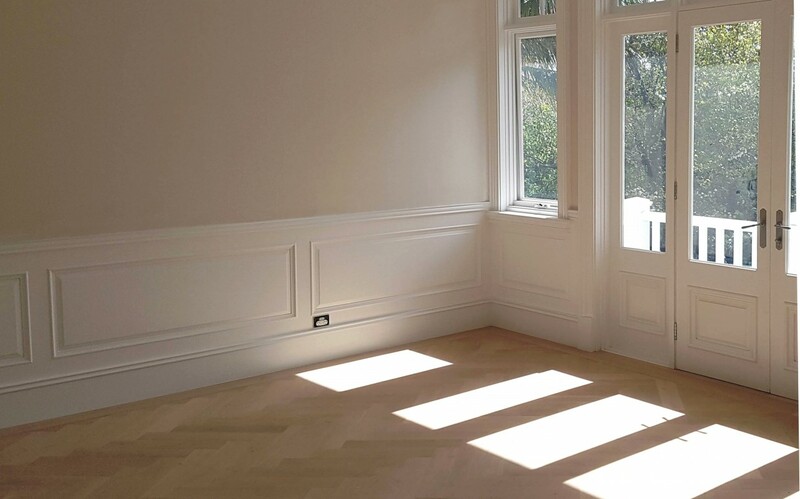 Each panel is constructed by experienced craftsmen, using high-quality materials and solid timber bolections and mouldings for an exceptional finish. 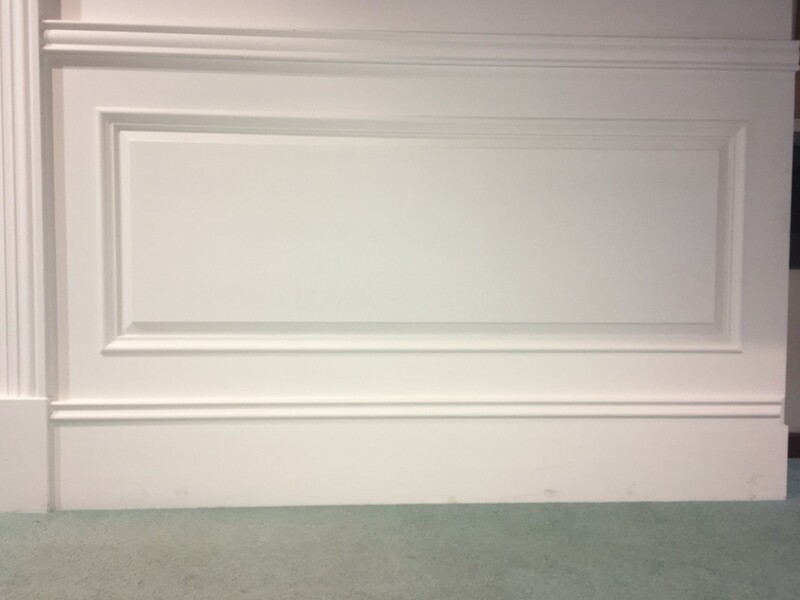 The lovely curved lines of the timber mouldings project beyond the face of the panel to create a beautiful three-dimensional effect. 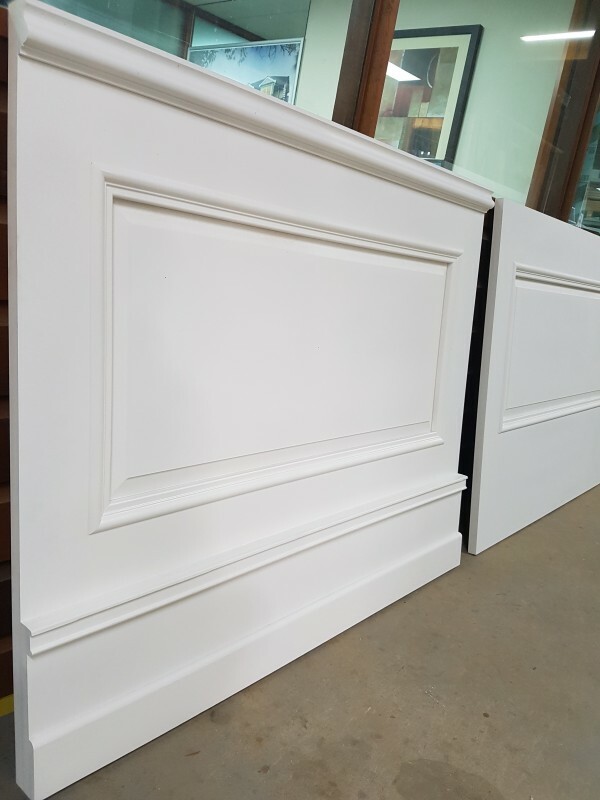 The design of the panels can be customised to suit your project. Contact us with your plans and one of our team will be happy to assist you. Custom-made to suit your requirements. Supplied as pre-made panels with bolection mouldings fixed in place. 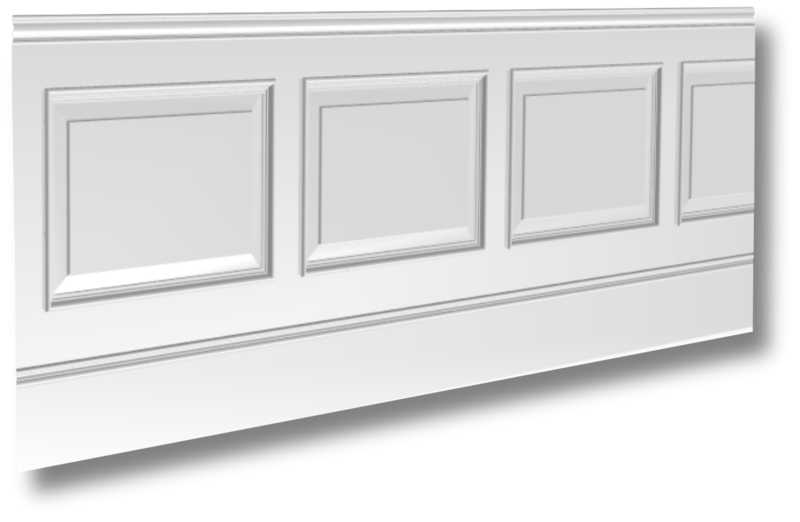 Standard panel height is 1000mm (may be customised). 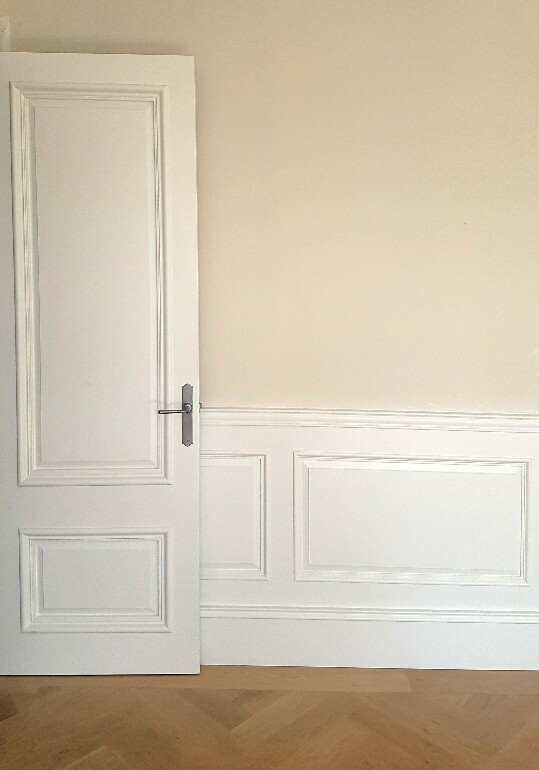 Panel design can be customised. Ready to install on site. 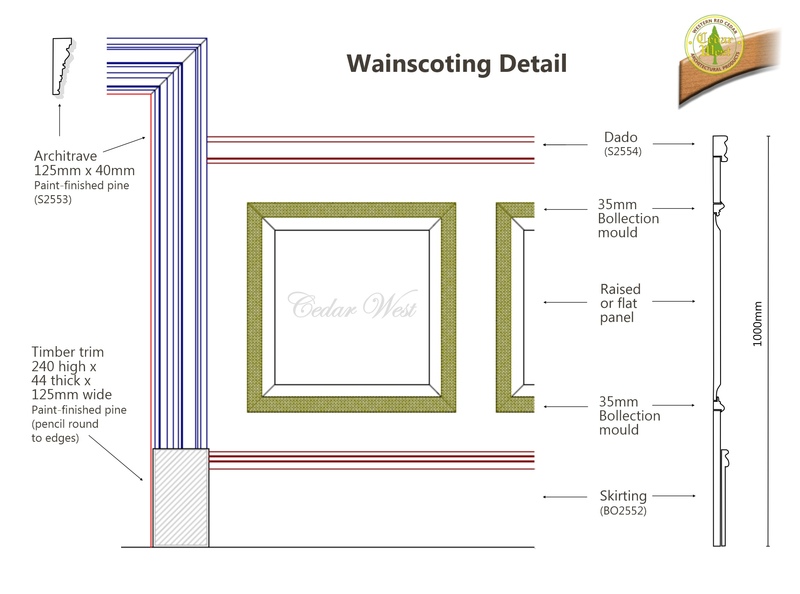 Customised wainscoting available for staircases.